David T.W. 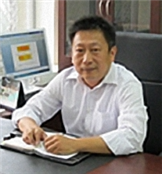 Lin is currently Professor and Chairman of Institute of Mechatronic System Engineering, National University of Tainan. He received the PH.D. Mechanical Engineering from Cheng Kung University, Tainan, Taiwan. He is the Project Leader of CO2 Heat Extraction on Reservoir of Enhanced Geothermal System, National Energy Project. He served as the conference chair of IEEA 2016, the editor of Smart Science and Int. J. Sci. Eng., in addition, the deputy chairman of Secretariat, Aeronautical and Astronautical Society of Republic of China. He is devoted to the study of Geothermal System, Energy Harvesting, and Optimal Theory. In last five years, His publications are more than 100 research papers and conference papers on the energy, heat transfer and optimization field. For his outstanding academic research, he receives the excellent scholar award of Ministry of Education, R.O.C. from 2015 to 2017.